Indians Baseball Cards: MLBTV Indians Prime 9 - Do I agree? #9 - 1981 - Len Barker throws a perfect game. 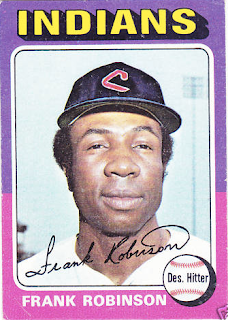 Len Barker was one of my favorite players when I was a kid, first collecting Indians cards before I had ever even seen them on TV. I actually started collecting a few years before this, but I can't even tell you when I saw my first Indians game on TV - it was in the 90's for sure though. 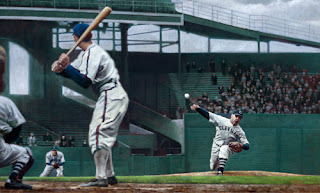 #8 - 1940 - Bob Feller throws a no-hitter on opening day. How do a perfect game and a no-hitter by a HOFer get the bottom two slots!? That is just not right. Guess we'll see what else MLBTV comes up with. #7 - 2001 - Tribe overcome 12-run deficit to win 15-14. Okay, yeah, this was a HUGE one. I remember turning off the TV and heading back to the home office to play games on the computer. After a while, I came back out to see how the Tribe were doing. I stayed to watch the end of it, waking my wife to tell her the news. She was not amused. #6 - 1997 - ALDS Games 4 and 5 - Indians clinch series. That was friggin awesome. 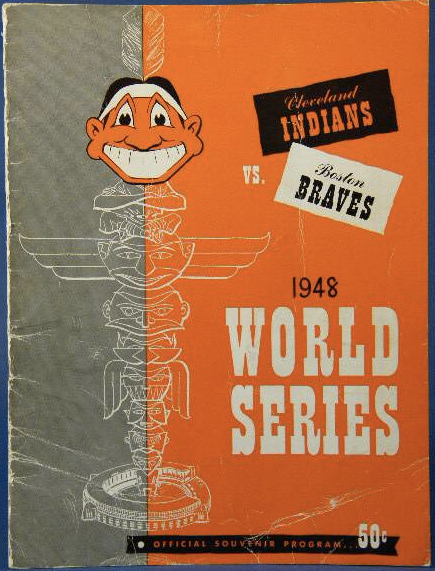 The Indians were heading to the World Series to play some new-fangled team called the Marlins of all things. Surely the Indians would conquer. Er, uh, well, maybe not. #3 - 1995 - ACLS Game 6 - Indians win first pennant since 1954. Now, this was HUGE! 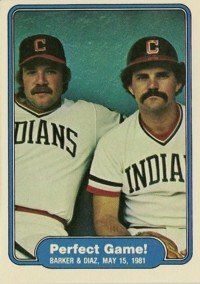 This came after all the "Major League" movies had played out and Tribe fans everywhere were watching life imitating art before their very eyes. 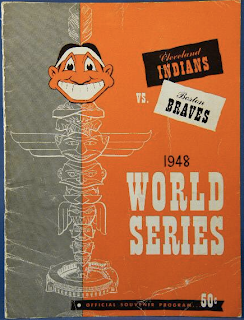 #2 - 1948 - World Series Game 6 - Indians win 2nd championship in team history. Yeap, those were the Prime Nine moments. The hosts began banter about their favorites. John Hart (former Tribe manager) picked the opening win on the first day at The Jake and Harold Reynolds picked the "Major League" movies as a Prime Nine moment. 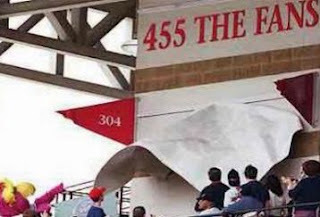 Of course, there was the continual sellout for 455 games. Frankly, in the history of Tribe, I'd have to give the fan sellout an honored spot in the Prime Nine. There is no way they can be listed in that order! Personally, I picked #8 as #1. There is only one opening day per season.You have another 161 games to be perfect. Yeah, I'd have to put the perfect games a little closer to the top. I also wouldn't mind Lofton stealing home from second base on a wild pitch. That was exciting. I think I disagree with you about Pena's HR, though. Not that I'm telling you anything that you don't know, but that entire season was like a dream. But the postseason was an experience (for ma anyway) that I didn't even know how to think about. It's the first time the Tribe had been even close to the postseaon in my life. I remember sitting on my couch in my dorm room, by myself, watching . I was trying to be quiet because my roommate had gone to sleep. The game just kept going and going. I couldn't relax. I was all fidgetty and nervous. It almost felt to me like if we didn't win that game we wouldn't win any. When Pena hit that HR, the season became legit and the postseason became real. This was really happening to my club. For the first time in my life it was happening. I remember where I was sitting, what the room looked like, where the ball went over the fence. Everything. I've had other moments since then with the Tribe, but nothing quite like that first one, when Tony Pena won the first playoff game of my entire life with a home run in the 13th inning (against the Red Sox, no less. Although this was before the Red Sox became villians.). This happened right in the middle of my college years, when these things seem to matter most for some reason. I think Pena's Home run is too low. BTW - Not that I don't like Major League, but Herold Reynolds is an idiot.